First of all, please excuse my mess of a blog! I am currently on a waiting list for a redesign! I can't wait for a new reveal! Now, on to my Monday Made-It! 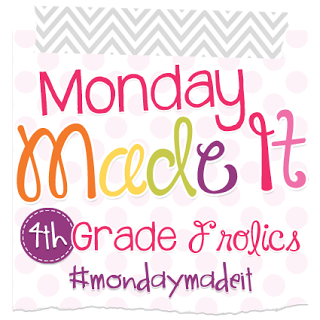 This is my first time linking up for the Monday Made-It, so I am excited to share a product I made for my TPT store! Click on the pics to be taken to my product! For the next Monday Made-It, I am working on something special. I made a trip to Michael's craft store today! It involves wood and paint...stay tuned! Check out the other makers on the link-up!